Overcome the Essential Tremor disease. • Cardiology & Sports Medicine and Biology Specialist, Montpellier 1 University (UM1). 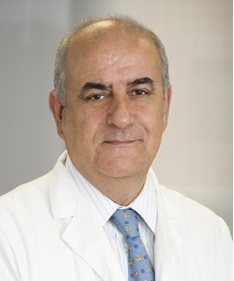 • Medical Director, Hospital Clínic de Barcelona. • Head of the Paediatric Arrhythmias Unit, Hospital Sant Joan de Déu. • Tenured Assistant Professor, School of Medicine, University of Barcelona (UB). Thanks to the skill and experience of our affiliated medical professionals, we are able to offer highly specialised procedures which are carried out in the safest of environments using the latest in techniques and technology. We are privileged to be working with some of the best healthcare facilities in Spain. All profiled hospitals and clinics are modern and innovative in their design and attain to the highest international standards. All our medical professionals are board certified and have received significant training and experience. Committed to working only in the best interest of the patient, our doctors are highly regarded in their respective fields. Medical Advantage Barcelona provides Medical Travel coordination services to patients who wish to arrange treatment in Barcelona. Working closely with local hospitals and doctors we offer continued support to ensure that the arrangement of Medical Travel is coordinated seamlessly and successfully.